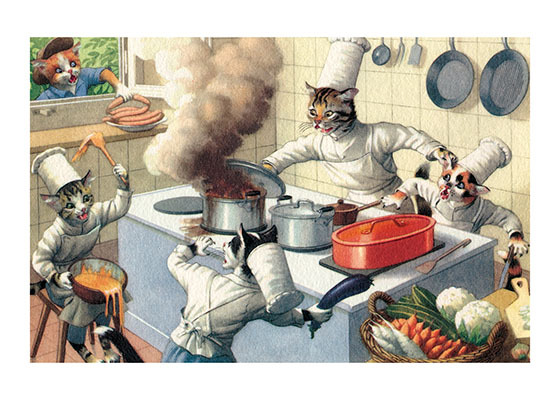 This Cat Cook had better think about getting some new assistants. This Cat Cook had better think about getting some new assistants. The ones he has leave a good deal to be desired.